Pregnancy can be one of the most joyful and exciting times in a woman’s life and so it follows that she should enjoy and delight in stylish and attractive maternity wear. Maternity fashions that enhance and celebrate a woman’s pregnant form are now available and include everything from maternity swimwear and maternity sleepwear to maternity dresses that are suitable for evening wear. Above all else, women should feel stylish and comfortable in the maternity clothes that they wear – it should have to be a choice between style and comfort. Because maternity wear now reflects contemporary styles and trends, it is possible for a woman to maintain and even enhance her sense of style, while feeling comfortable and great about how she looks. Because much maternity wear is now designed so that different shapes and sizes are enhanced and made more comfortable, it is possible to feel comfortable in your clothes and rightfully feel confident and on-trend. But, what are some of the most comfortable and stylish pieces of maternity fashion? Dresses are highly fashionable for all women, but for pregnant women, a dress can look great, feel comfortable and be stylish too! In particular, many pregnant women love long maxi style dresses that not only move beautifully but really compliment the belly and body of the woman. For Summer, such dresses are commonly found in some light and airy fabrics as well as those that enhance a woman’s figure by the way they cling and fall on her body. There is now such a fabulous range of maternity skirts that can be purchased. Some of these skirts feature a band which supports the belly of the pregnant woman, while others are worn beneath her belly. Pregnant women can opt for pencil style skirts that flatter the body in the way that they are so shapely and because they are made from materials such as stretch cotton, comfort is definitely enhanced. Mini skirts and long skirts are also commonly worn by pregnant women and are as stylish as they are comfortable. If ever there is a staple in the wardrobe of every woman, it is a pair of jeans. Jeans are so versatile because they are timeless and can be dressed up or down, but the comfort and ease of wear that they offer should also not be overlooked. Celebrities such as Nicole Ritchie have certainly shown us that maternity jeans (including those with a skinny leg fit) can look wonderful on pregnant women. When jeans are specially designed and crafted for pregnant women, they are conducive to the woman’s growing and changing form and are surprisingly comfortable and supportive. Available in a range of colours and shades of denim, maternity jeans are a key piece for the wardrobe of every mother to be. It is a fact that many women work up until the final stages of their pregnancy and so require comfortable and stylish pants that go well with suit jackets, shirts and other tops. Fortunately, stylish maternity pants that are also comfortable are available and can help to project a corporate image. Conversely, many different types of more casual maternity pants are available, including those that are just fabulous for relaxing at home. Maternity fashions that are comfortable and stylish are available in all sorts of garments. Pregnant women no longer need to feel that maternity wear by nature lacks style and interest. 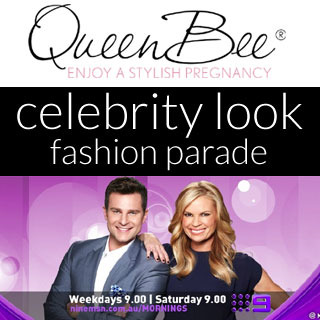 To the contrary, modern maternity wear is now on-trend, fashionable, stylish and comfortable. 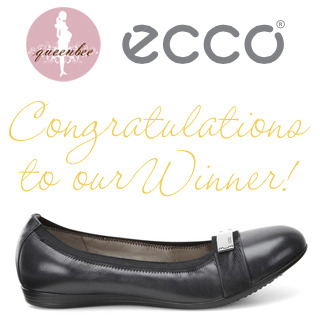 Thank you to ECCO and everyone who entered our competition. Click inside to see who won.